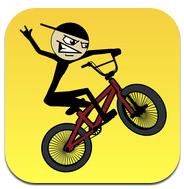 Stickman BMX (v1.1) — Mobers.ORG — Your Daily Source For Mobile FUN! Our hero Stickson returns in the latest installment to test his skills on a street BMX bike. Do you have what it takes to survive the wide variety of terrain including forests, cities, oil refineries and the ultimate test that is living hell! Simple to pick-up-and-play with plenty of depth to keep the avid gamer entertained for hours. * 60 Fast paced scrolling levels packed full of excitement. 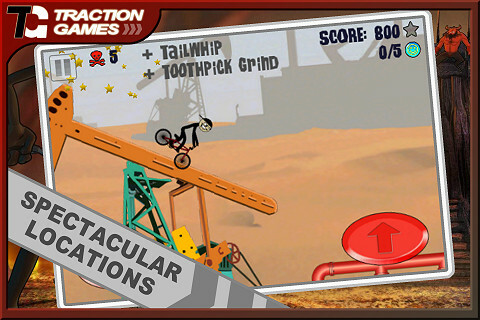 * Hundreds of combinations of real BMX tricks. * Hidden paths and routes in all levels to explore. * In-app purchase: Race the Ace - Race against the computer in 30 all new levels. * In-app purchase: Skateboard - Skate fans can now choose to ride a skateboard instead of BMX in all levels of the game.